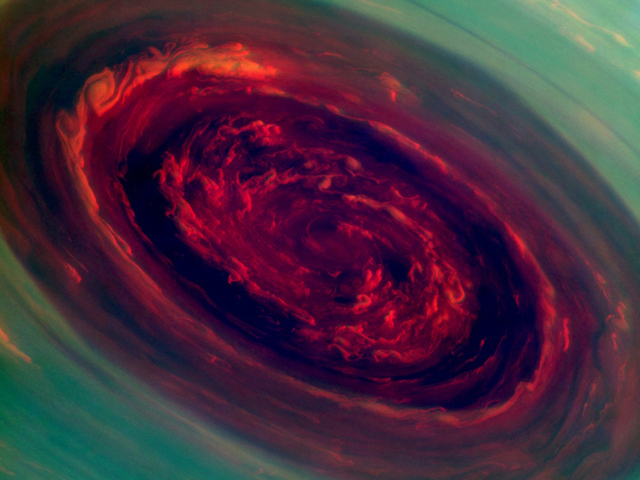 NASA’s Cassini spacecraft this amazing false-color image of a massive hurricane on the surface of Saturn on November 27th, 2012. The hurricane’s epic eye measures 2,000 km across (that's about the same distance from London to Reykjavik... give-or-take a few hundred km! ), with clouds at the outer edge traveling at over 500 km per hour.